I arrive at Terroir Feely/Chateau Haut Garrigue to talk to the co-proprietor, Caro Feely about their winemaking and wine tourism business. On my way here, walking down the country lane towards their farm past the Saussignac Cemetery, dignified yet colourful with the many pots of commemorative flowers, I reflect upon the niche that Caro and Sean have carved for themselves in the highly competitive wine making business. Sean and Caro have been in Saussignac, a small village in the Bergerac wine region in the Dordogne since 2005. That was the year they changed their life and moved from corporate lives in Ireland to become wine makers in the Dordogne. Their initiation to their new life is a compelling read in Caro’s book: Grape Expectations: A Family’s Vineyard Adventure in France. It’s a page turning book and the reason for my sense of awe when I meet this low-key yet dynamic couple. Always intrigued by the process through which people create major life changes, I read Caro’s book with this sense of enquiry in mind. 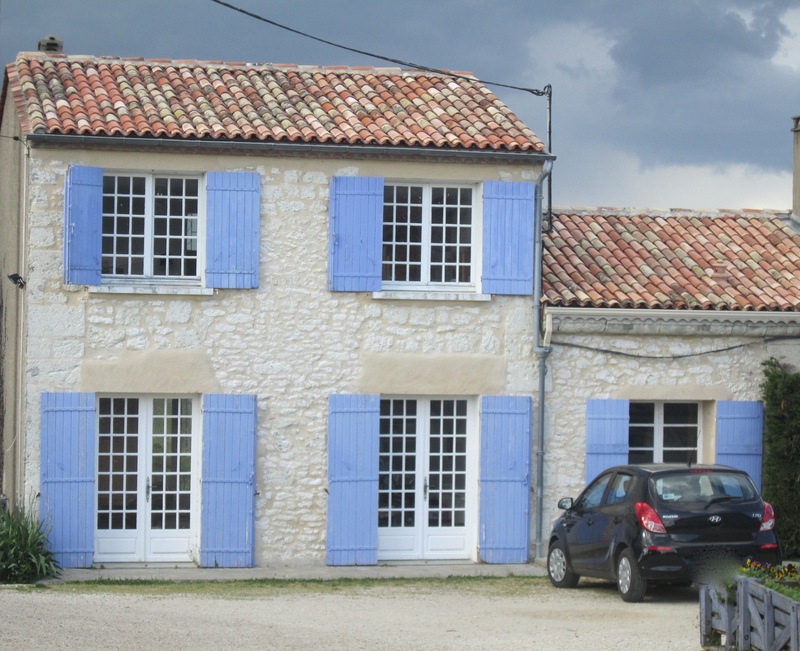 Caro and Sean embarked upon a new lifestyle of considerable uncertainty: no wine-making experience when they started, language barriers, the burden of French bureaucracy, two small daughters to raise and a host of other challenges. Yet, they had personal qualities of perseverance, adaptability, optimism and drive together with experience in marketing and financial management. These personal attributes and competencies have stood them in good stead. On top of this, their passion for the life-style, the land and region, and organic, sustainable and now biodynamic farming has fueled their energy to make it all happen. Learning to make good wine wasn’t enough to succeed. Caro has said that the transition to their new life was “beyond hard”. They soon realized that they needed to diversify in order to survive financially. This in turn led to the creation of French Wine Adventures with wine courses; wine walks with vineyard lunches, the Harvest Weekend, and the building of their ecological accommodation at the vineyard. Their brand new swimming pool opens this season. In other words, they have created a biodynamic virtuous circle of wine making and wine tourism. 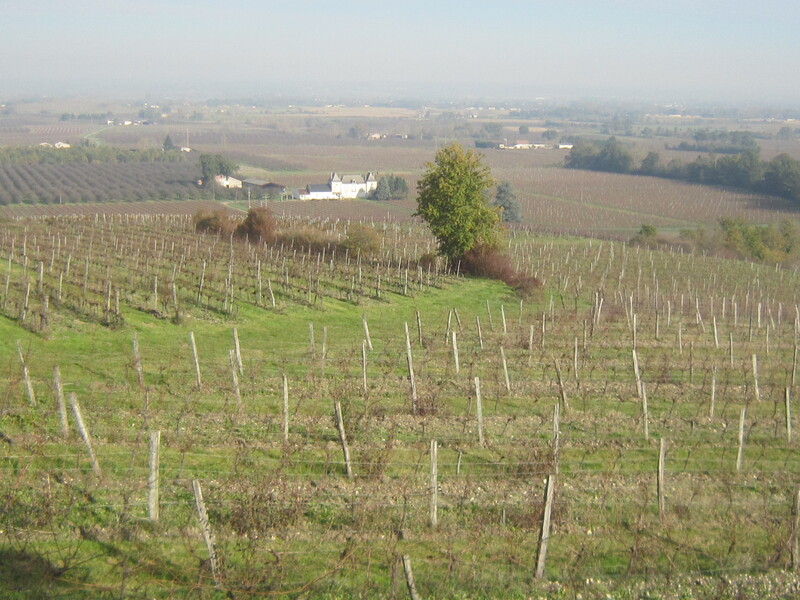 Terroir Feely/Chateau Haut Garrigue is a Certified Biodynamic farm of approximately 10 hectares under vines. Demeter, the internationally recognized biodynamic certifying body, certified Terroir Feely/Chateau Haut Garrigue as biodynamic in 2011 following their organic certification from Ecocert in 2009. 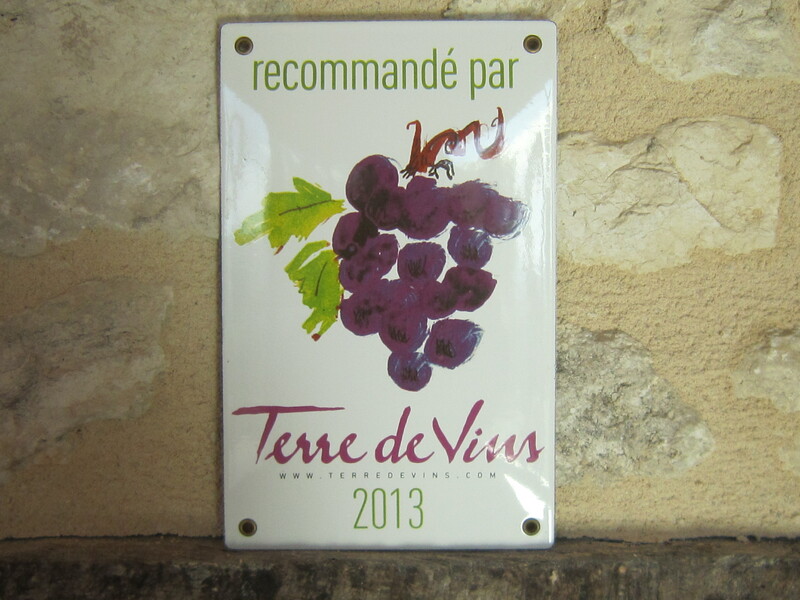 In addition, The Great Wine Capitals Network recognized Terroir Feely as the Regional Winner for Sustainable Wine Tourism Practices in 2013. 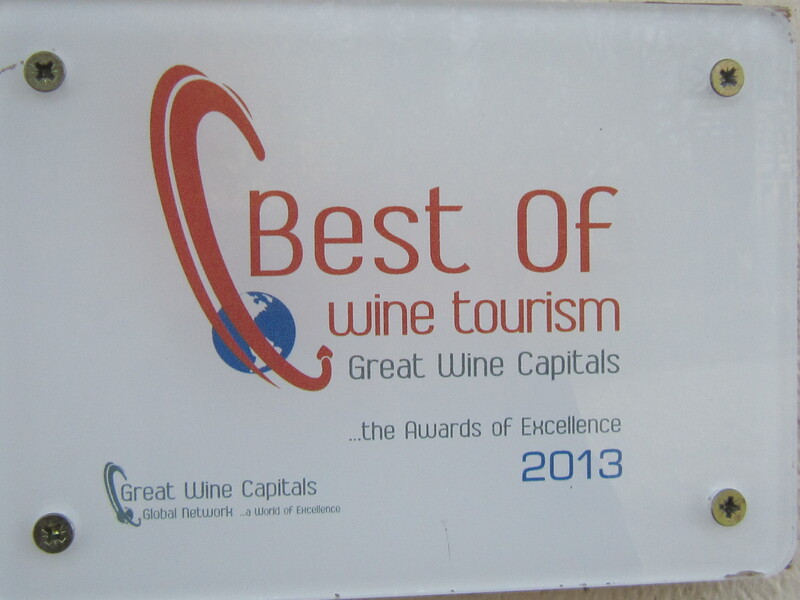 Their wines are also gaining recognition for quality. We talk about wine farming practices and their evolution from organic to biodynamic status in 2011. Caro explains that it takes 3 years to convert to biodynamic status. Farming practices are introduced in which the vineyard is cultivated as part of a whole farm system. It involves making and using preparations for the soil and plants from plant and manure materials as well as caring for the vines and the soil according to the biodynamic calendar which suggests times to sow, harvest, prune in synch with phases of the moon. She tells me that since they have been following the strict biodynamic approaches that more orchids have appeared on the farm as well as greater biodiversity. She also believes these practices have benefitted their wines! Caro says that until she saw the difference biodynamic practices made to their farm, she thought that biodynamics sounded like “dancing with the fairies”. To gain a better understanding myself, I subsequently looked up various sources and websites including: Demeter, various Rudolf Steiner sites, Berry Bros and Rudd Wine Merchants. There is a lot of material about the subject. In brief, biodynamic agriculture originates in the ideas of Rudolf Steiner, an Austrian philosopher and agronomist who lived from 1861 – 1926. He gave a famous agricultural series of lectures in 1924, which predate most of the organic movement. The principles and practices of biodynamics are based on Rudolf Steiner’s spiritual philosophy called anthroposophy, which includes understanding the ecological, the energetic and the spiritual dimensions in nature. One of Rudolf Steiner’s greatest admirers was Maria Thun (1922 – 2012) who created an annual biodynamic gardening calendar that Caro refers to on the Terroir Feely/Chateau Haut Garrigue website. The name Rudolf Steiner was familiar to me because of his influence in education. Waldorf Schools which originated from his humanistic approaches to education are in evidence today in about 60 countries. From a viticulture perspective, biodynamics views the farm as a cohesive, interconnected living system. For a vineyard to be considered biodynamic by Demeter, the vine-grower must use the 9 biodynamic preparations described by Rudolf Steiner. These are all preparations made from plants or manure and applied to the plants and soil. Biodynamics in viticulture is growing and is practiced by farmers in several countries including France, Italy, Austria, Germany, Chile, South Africa, Canada and the US. While organic and biodynamic farming doesn’t guarantee great wine, it appears that there is a tendency for wines made with these farming practices to be more highly scored by consumers with respect to expressions of terroir, balance and more vibrant tastes. Tasters indicate that biodynamic wines are more floral in flavour. In general, there is a continuum of farming approaches progressing away from industrial practices that rely on chemicals towards using fewer chemical interventions and introducing more sustainable practices leading to organic and biodynamic approaches. Farming interventions are regulated in the EU, as elsewhere, including the use of mineral substances like copper and sulphur which are permitted in all approaches to wine farming along the continuum– it’s a question of degree. Literature about biodynamic wine making refers to Certified Biodynamic wine making and also to wine makers who practice “broadly biodynamic” farming approaches. This implies that they subscribe to and follow many of the biodynamic practices yet do not pursue the biodynamic certification. From our observation visiting many wine makers, this translates into the ever-increasing attention to improved agricultural practices, which is positive for the land, the farmers themselves and the consumer. Caro and Sean have gone that step further in following the rigorous standards for their farm to be Certified Biodynamic. All to say that the dialogue around farming practices is increasing and the interest in biodynamics is growing. In a competitive wine world, it’s worth noting that over the past 10 years there has been significant growth in the sales of biodynamic wines as consumers shift their interest to biodynamic and sustainable practices. It’s 9 years since Caro and Sean made their major lifestyle and career leap of faith into wine making in the Dordogne. Since 2007, they have been practising biodynamic wine making, achieving their certification in 2011. I have tasted their wines several times over the years and I particularly like their Sauvignon Blanc, “Sincérité”. Caro and Sean have been generous with their time talking to me about their vineyard adventures to date. I close my notebook and say my goodbyes. It’s time to let Caro and Sean get back to their work. This entry was posted in Bergerac Wine Region, Biodynamics, culture, French Wines, History, wine tasting, wine tourism and tagged Bergerac wine region, Berry Bros and Rudd, biodynamic wines, Demeter, Dordogne, French wine tourism, French Wines, Rudolf Steiner, South West France, Terroir Feely/Chateau Haut Garrigue, wine tasting notes, wine tourism by elizabethsvines. Bookmark the permalink. Thanks for this blog. 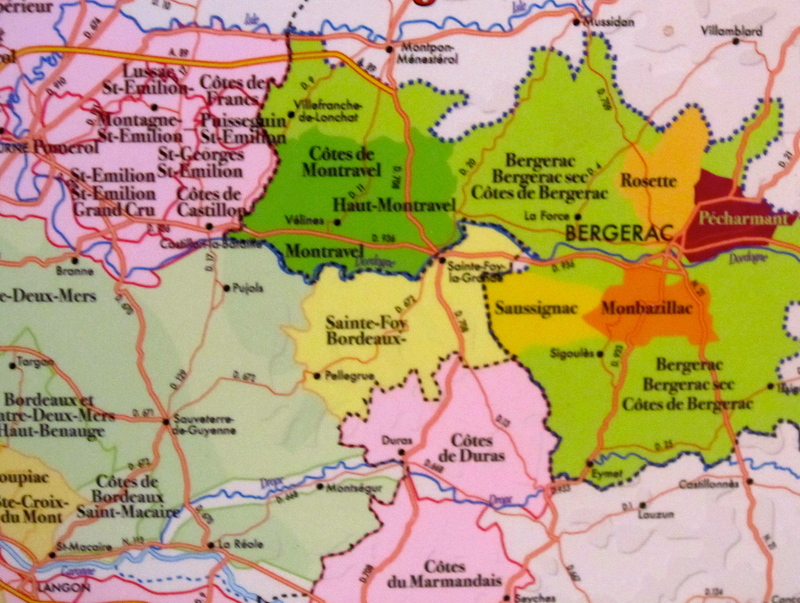 I am a big fan of Bergerac wines! Not sure about cow horns but certainly promoting more natural and sustainable practices must be a good thing. Thanks, Craig, for your comment. Like you, I am a big fan of Bergerac wines and always interested to see innovation and entrepreneurial spirit at work. An excellent article – informative and well-written! Thanks so much for your kind words. I am glad you found the article of value. Fascinating! Biodynamic practices in the vineyards is something I never heard of. Your blog is very educational and enjoyable, and this is one of your best posts. Thanks for sharing. Thanks so much for your feedback. I am glad there was something new for you.